As promised, here’s the recipe for my totally sneaky and tasty mashed potatoes. I know mashed potatoes are easy, but these are delicious w/ the meatloaf I posted a couple days ago — or by themselves — and I want to make sure I can make them just like I did a few nights ago, again! When my kids are getting ridiculous w/ their veggie-consumption refusal, this is my go-to! 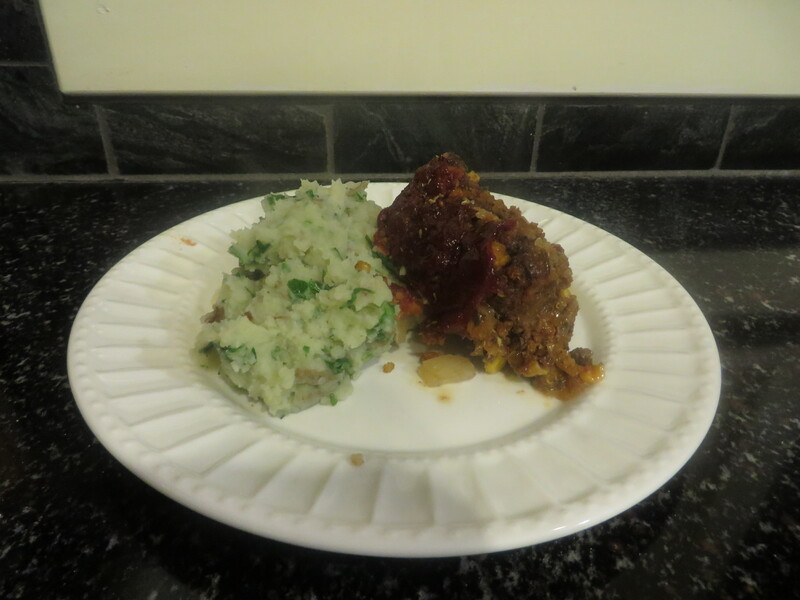 Sneaky meatloaf and mashies make you think there are no veggies for dinner! Prep time: 15 minutes. Cooking time: approximately 20 minutes. First, rinse and wash your potatoes. Chop them up into smallish cubes. (The smaller the cubes, the quicker they cook.) Bring a pot of water to boil and add potatoes. While your potatoes are boiling, dice your kale or whatever greens you are using. The smaller the pieces, the better. Set aside. After 20 minutes or so, your potatoes should be soft. Drain the water off of them and set back on stove. I prefer to make my mashed potatoes in the same pot so I don’t “waste” another dish. Just a silly habit that I can’t break, I guess! Please note that I am notorious for not using much salt. For some reason, it easily overwhelms me and is often all I taste in something if there’s too much of it. Also, if you use a salted ghee, there’s some salt already there. Most likely, you will want to add more salt than I have here. Use your judgement and make it how you like it! And please feel free to let me know who you tricked into eating two cups of kale for dinner!! Next > Frozen Anna Hat No. 2 – FREE Tutorial!